Travelling up-front in a car in a wheelchair is not new.... But the InFront conversion is! Most up front conversions require you to gain access through the back of the vehicle thus losing the rear seating, luggage space and no ability to fit a towbar. Other conversions entering from the side then turning at right angle and trying to do all this in a very small space to end up pointing forwards. Less hassle, needs less room, quicker, easier, keeping ALL the rear seats, keeping ALL the boot/luggage space, enabling a towbar to be fitted and overall more enjoyable to use. 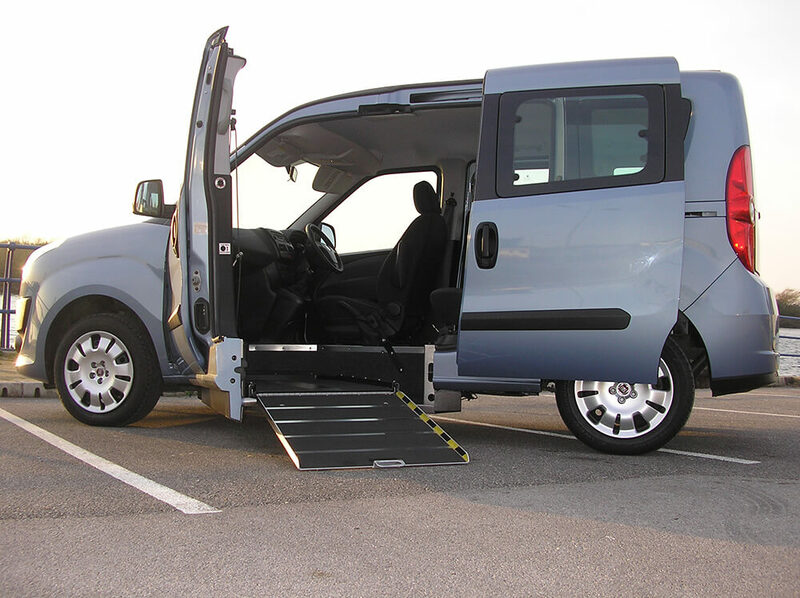 It’s simple... just open the rear sliding door, open the front door which is linked to the unique patented swivelling platform, deploy the ramp and you’re ready to enter. Stow the ramp, close the doors and you’re now InFront. We wanted to bring to the market a vehicle with all the compromises associated with a rear acces vehicles taken away. We are the only converter that can do this and that is something we're very proud of. No more worries of people parking to close to the rear which can sometimes be a problem. 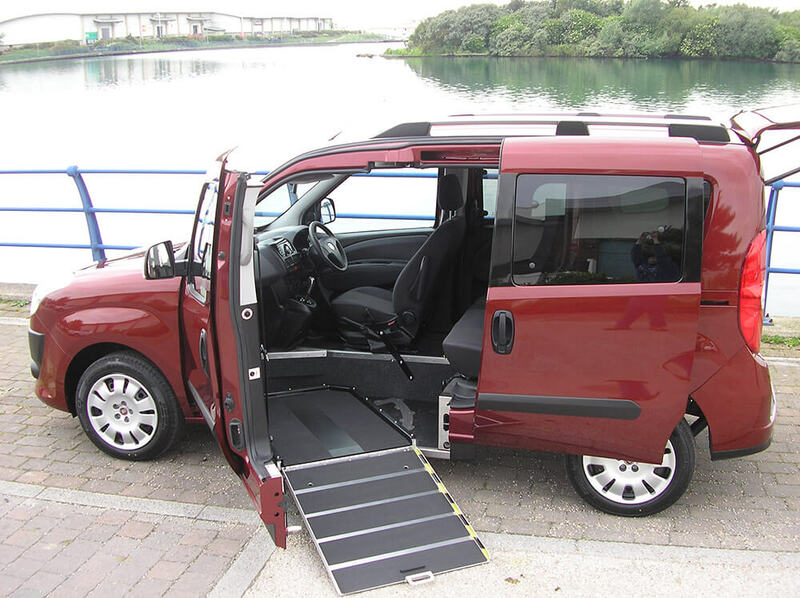 You can now park kerbside or in a disabled parking bay with no need to unload any luggage or shopping from the huge boot space. 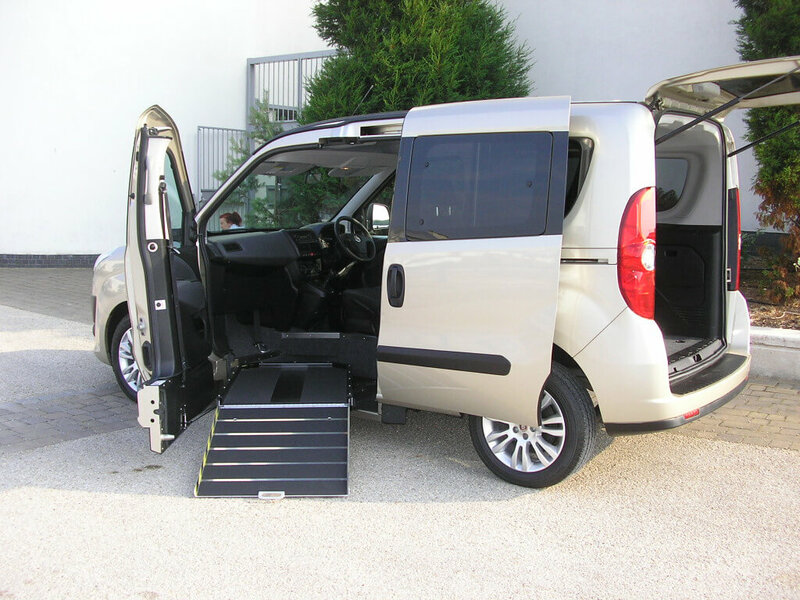 A vehicle built around comfort, usability, functionality and far improved compared to the previous model. Fiat approached the vehicle this time by designing a car that is supremely comfortable with a rear suspension design that is very complex to ensure fantastic ride quality. Available in both manual and Dualogic automatic gearbox, the Doblo now represents a truly useable mid-range sized vehicle with a variety of engine options both Petrol and Diesel, plus a choice of trim levels and extras such as parking sensors, towbar and much more. 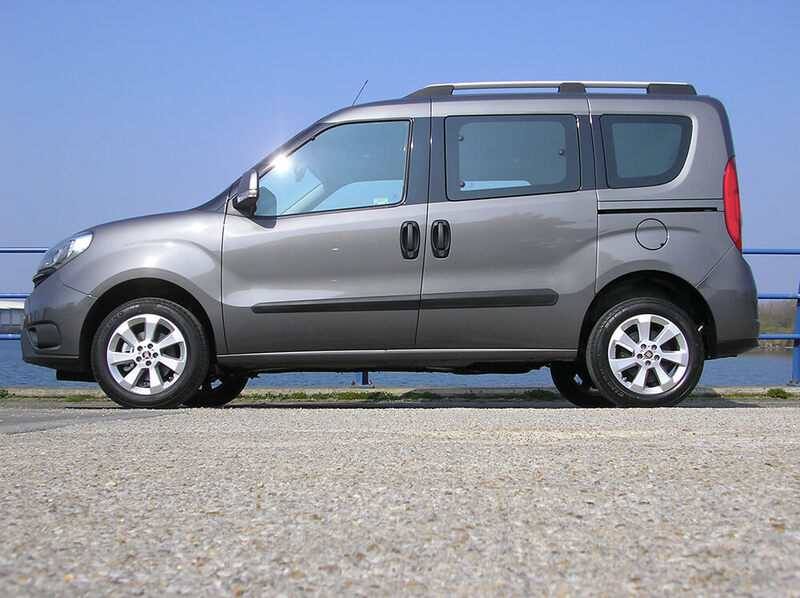 Our Doblo offers an entry height of 54.5" with internal headroom of 60.5". As well as new vehicles we have now introduced the nearly new scheme. We carefully hand select a suitable used low mileage vehicle and apply a brand new conversion. We can convert it for you to full InFront specification. For further information on the InFront Doblo or to book a home demonstration please contact our sales team for the UK, Accessible Vehicles using the AV link or go to our contact page.